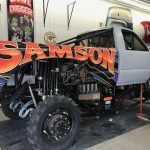 As a very busy summer season got underway for 2018 the Samson Monster Truck Racing Team decided to change things up a bit for the trucks appearance. After running a few variants of designs over the past few seasons the team decided an all new look was in order for this year. 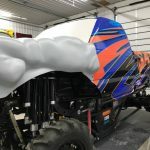 An all new, modern wrap design was created and installed prior to the start of the summer at the PEI Shop. 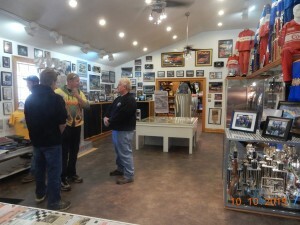 The new scheme was well received on social media and in person from fans who witnessed it first hand at its debut in Dresser, Wisconsin. 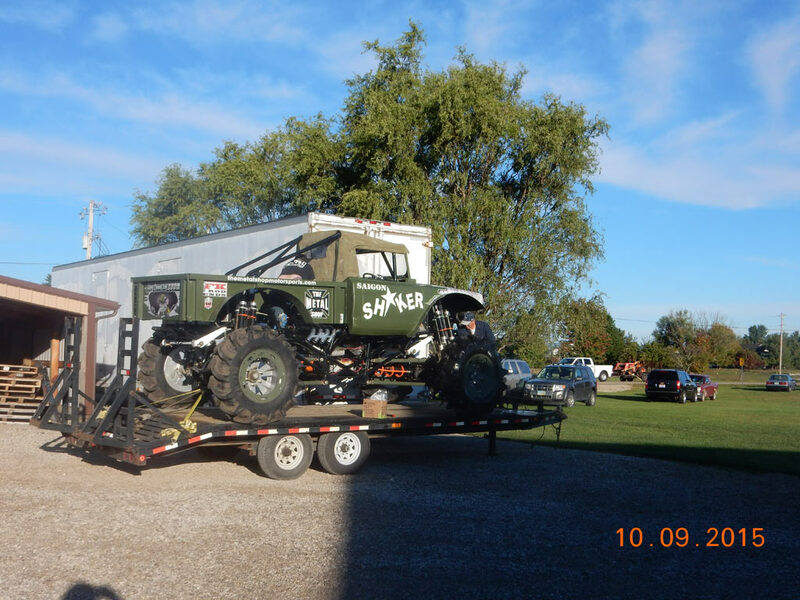 Following the Dresser event, the next stop on the schedule for the team would be in Elk River, Minnesota at ERX Motorsports Park. 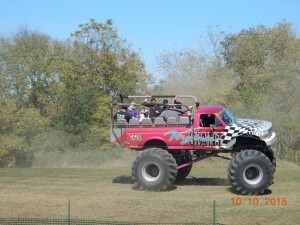 This event featured the largest line up of trucks outside of the World Finals with 20 trucks competing over two days. 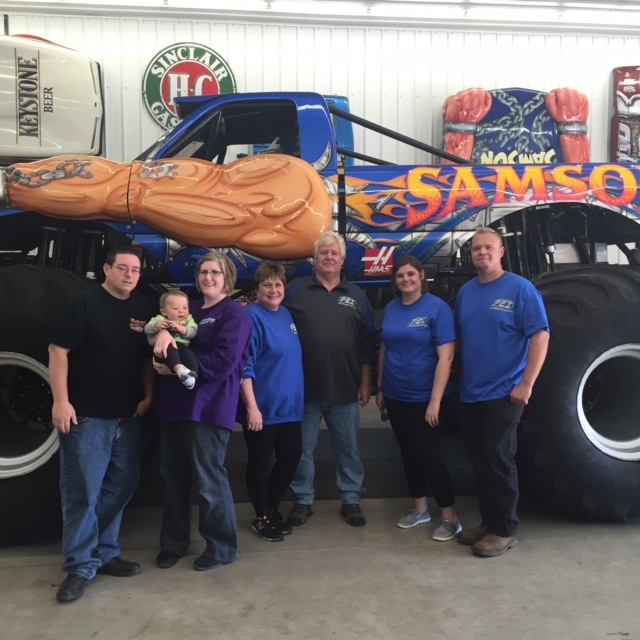 With so many great trucks in attendance it would be a challenge to battle for wins on each night, but the Samson team was up for the task. 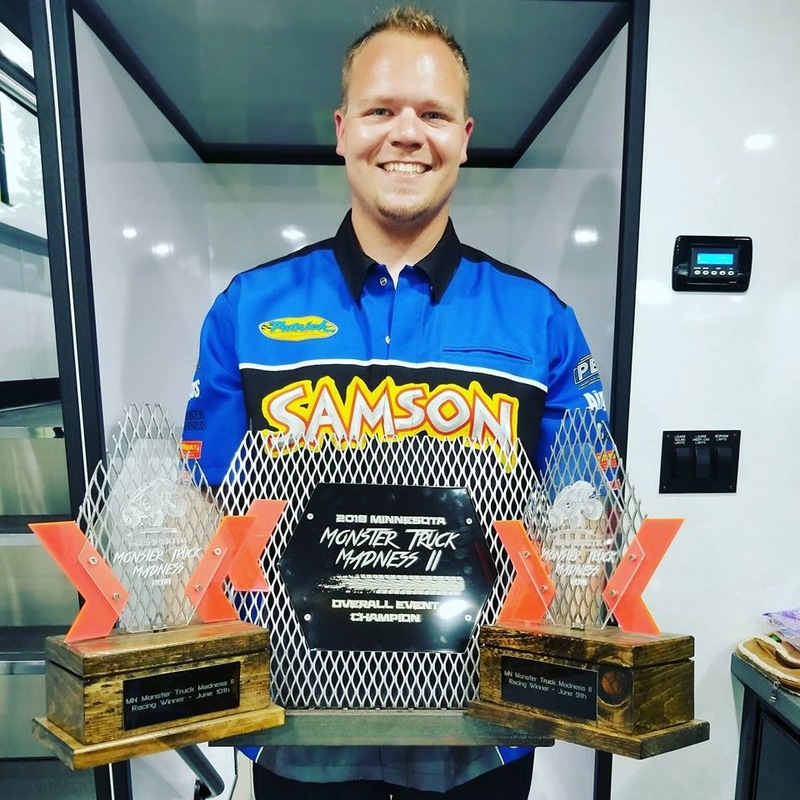 Driver Rick Steffens was on point during both shows as he marched his way through the bracket two nights in a row and picked up back to back racing victories! 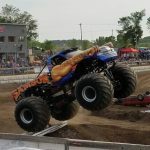 As the dust settled and weekend points were tallied up, Samson was at the top and claimed the overall event championship as well. It was a big achievement against many of the industry’s best independently owned trucks. Thanks to all of our great sponsors for their continued support of Samson and PEI. We’re looking forward to the rest of the summer where we’ll be staying busy with a number of events ahead in the coming months. 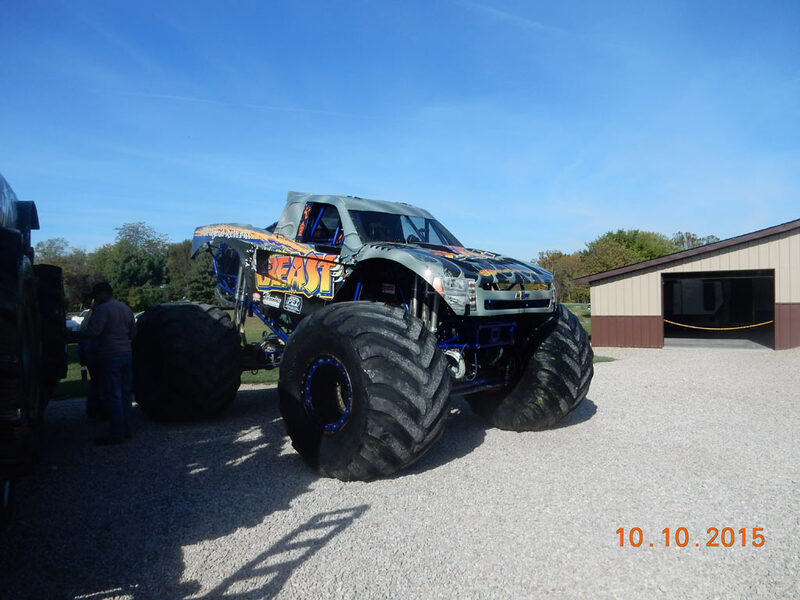 Don’t forget to check out our schedule to see where Samson will be in the next few months. Also remember to grab your Samson and PEI gear at our online store. One of our favorite events every year takes place right in our shop as we host the annual PEI/Samson Open House. 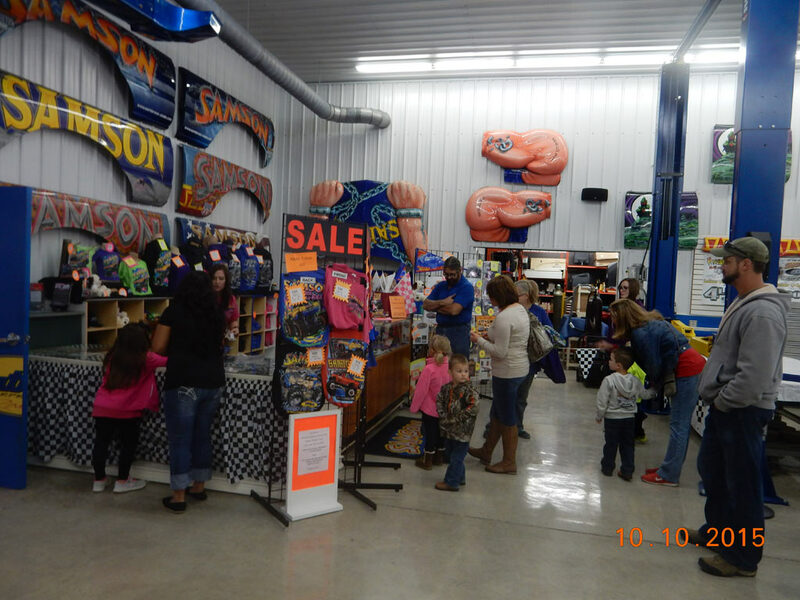 It’s the one time a year where we open up our shop to the public so everyone can see what takes place inside our facility. 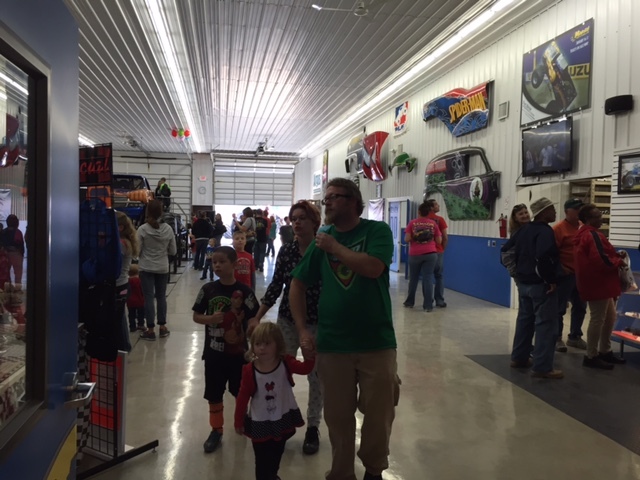 This year we’ll be hosting our Open House on October 7th from 10am to 4pm. 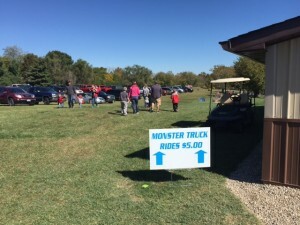 We’ll have plenty going on with monster truck displays and rides, a car and truck show brought to you by Utility Truck and Equipment, a Fish Fry and Tenderloin Sale benefiting Box65 and Pickaway Fire Department, as well as activities for kids. 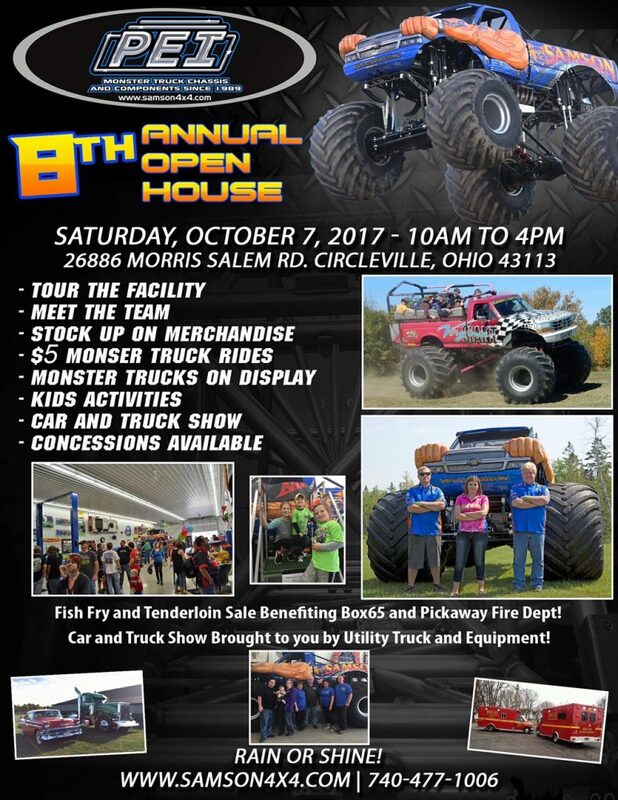 Be sure to follow us for more information on who is coming to this year’s Open House and we look forward to seeing you all there so save the date! 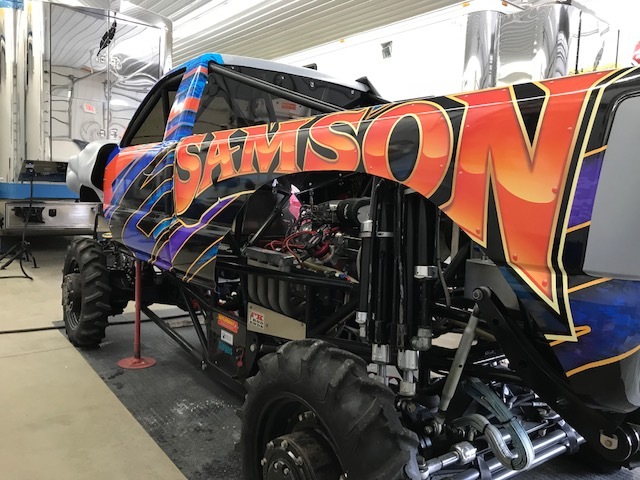 We’re excited to get the Samson Monster Truck back in action after a busy winter building and fabricating many parts in the PEI Headquarters. 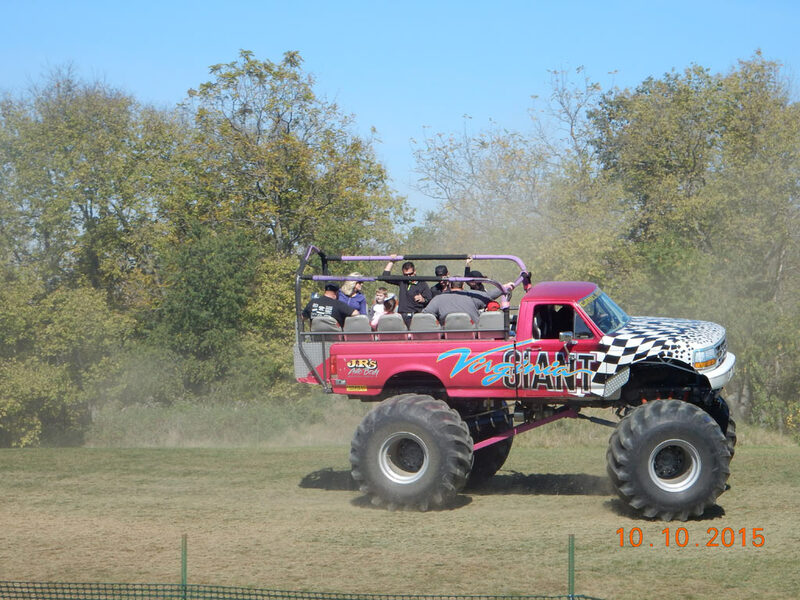 We’ll be hitting the track for the first time in 2016 next weekend at Kil-Kare Speedway in Xenia, Ohio. 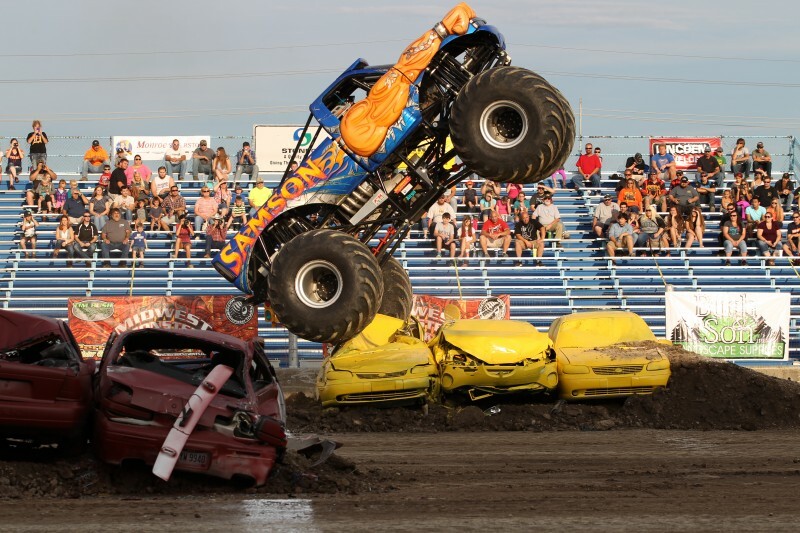 To see where we’ll be this summer check out our schedule page for more information and don’t forget to follow us on Facebook for even more information on the Samson monster truck and PEI. 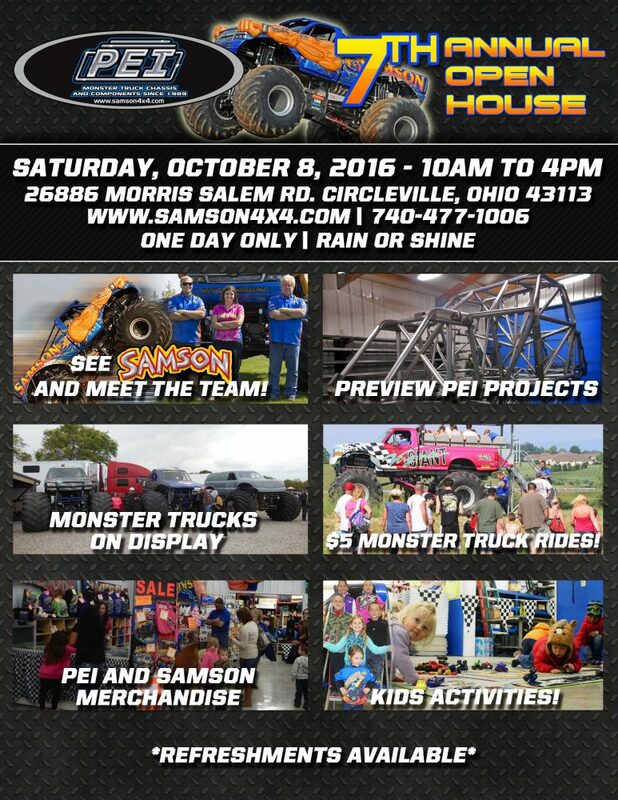 The annual PEI | Samson Open House is one of our favorite events of the year and we’re happy to announce that this year’s will be taking place Saturday, October 8th from 10am to 4pm at our headquarters in Circleville, Ohio. 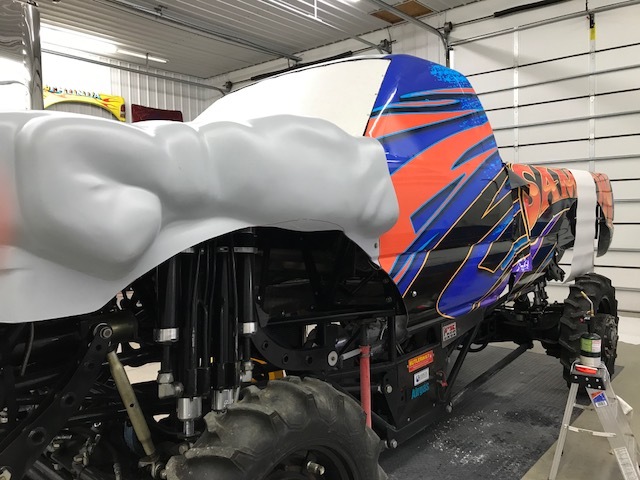 This one day only event is a chance for fans and industry personnel to interract and see what goes into making the bohemoth monster trucks come to life, from the building of complete trucks to components as large as chassis and axle housings, to the small parts like brackets and tabs. Fans will also get a chance to meet the Samson monster truck team like drivers Dan, Rick, and Allison. 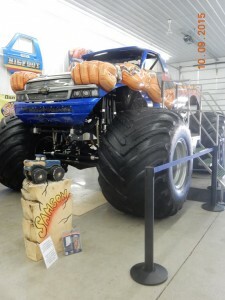 We’ll also have other monster trucks on display to be announced at a later date. 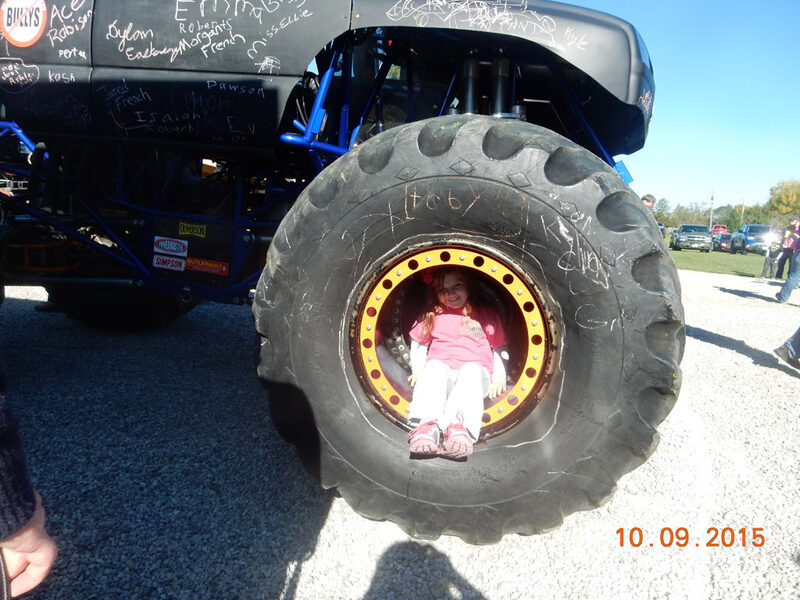 Monster truck rides will also be available for just $5! Also don’t forget to stock up on your PEI and Samson gear as all of our merchandise will be available for purchase. 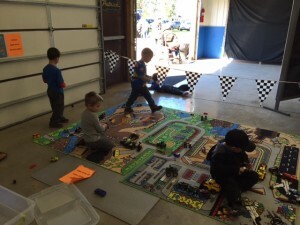 We’ll also have kids activities for our littlest visitors. So make sure you save the date and come see us for the 7th Annual PEI | Samson Open House for a great time! 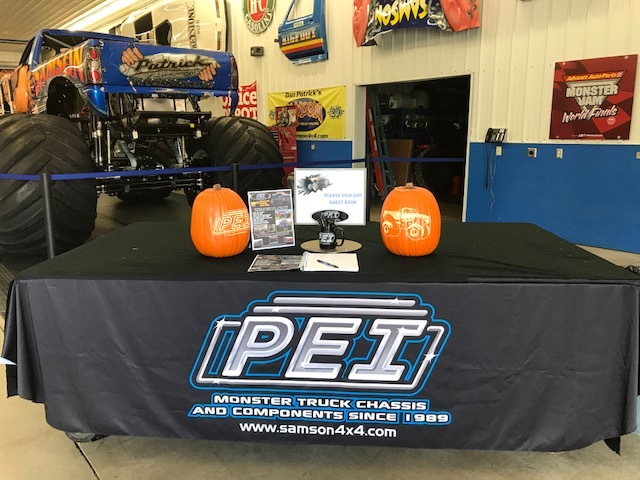 The 6th Annual PEI/Samson Open House was held on October 10th and we had a great turn out of fans and industry personnel to join us for a fun afternoon. Once a year we open our doors to the public for them to take a look inside what happens in our day to day operations as well as get up close and personal with some of the awesome machines we’ve helped create. This year we were lucky enough to have Matt Pagliarulo’s Jester, Bobby Holman’s Beast and Chalkboard Truck, and Rick Disharoon’s Saigon Shaker mega truck on display for fans to see with Samson. They were also able to get a ride on the Virginia Giant ride truck and meet with many awesome monster truck drivers. 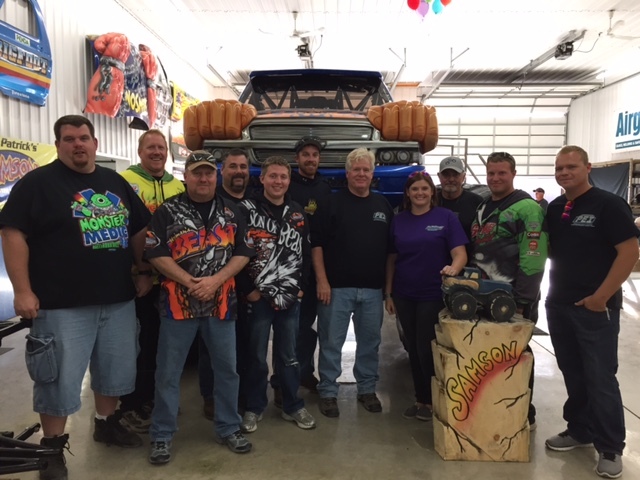 We were also joined by members of Team Scream Racing including Jim Koehler (Avenger), Brad Allen (Brutus), and Cory Rummell (Spike/Avenger). Rich Blackburne of the Monster Medic Monster Truck also made a visit for the Open House. Thank you to everyone who helped make this year’s event a great success and we’ll be looking forward to hosting everyone next year! 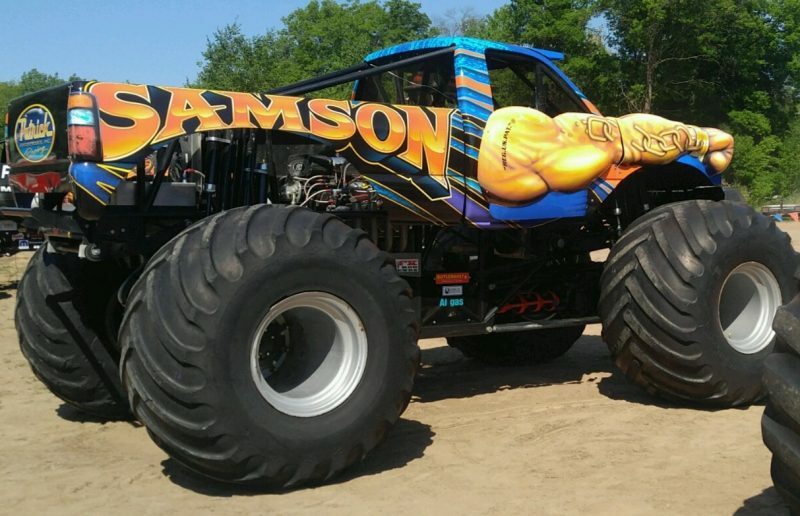 New Samson T-Shirts and More Now in our Store! 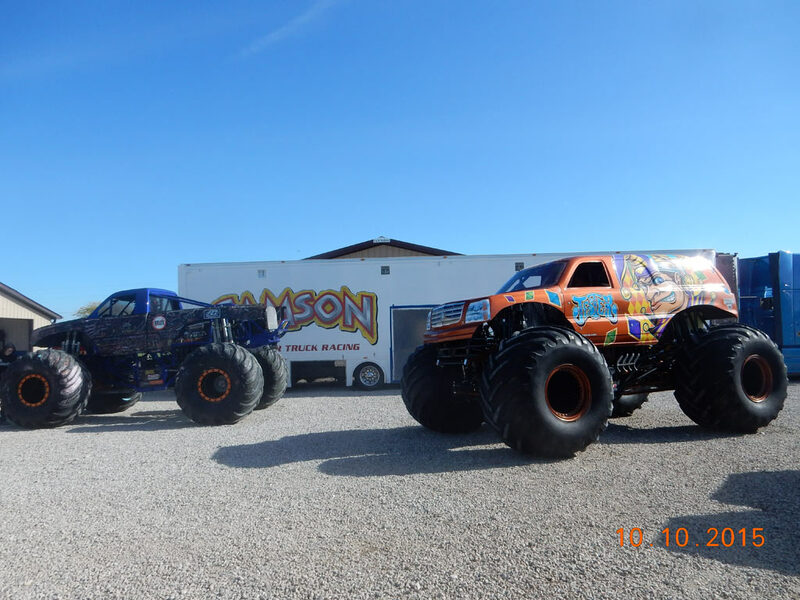 New for 2015 are brand new Samson Monster Truck t-shirt designs as well as some other new merchandise items. You have to go check out the new t-shirts in our store and get yours today! The new shirts are available in black and purple for adult sizes as well as lime green and purple for kids sizes. 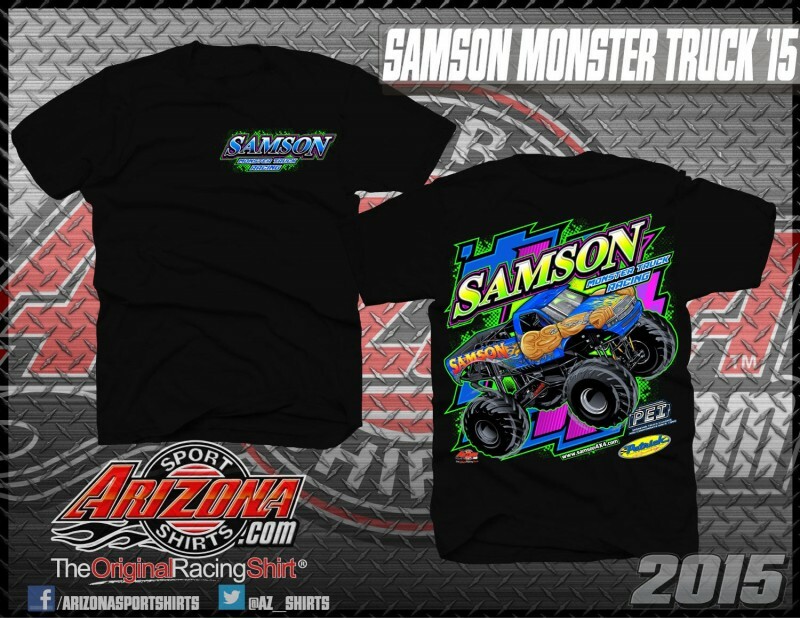 Also new for 2015 are shirts available in Toddler Size 2 and baby onesies in sizes 12 months and 18 months for even the littlest of Samson fans. We’ve also just added Samson and PEI keychains perfect for your keyring, and new PEI decals to add to your ride. Be sure to go check out the store and get your Samson and PEI gear today! 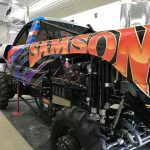 Date Set For 6th Annual PEI / Samson Open House! 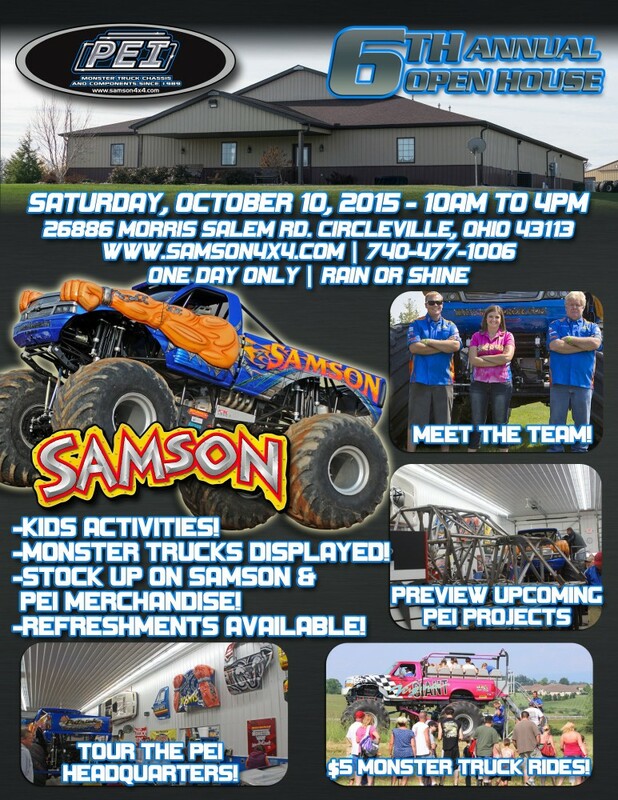 The date for the 6th Annual PEI / Samson Open House has been set for October 10th at our shop in Circlevile, Ohio. Be sure to come by and check out the event from 10am to 4pm where we’ll have plenty of things going on. 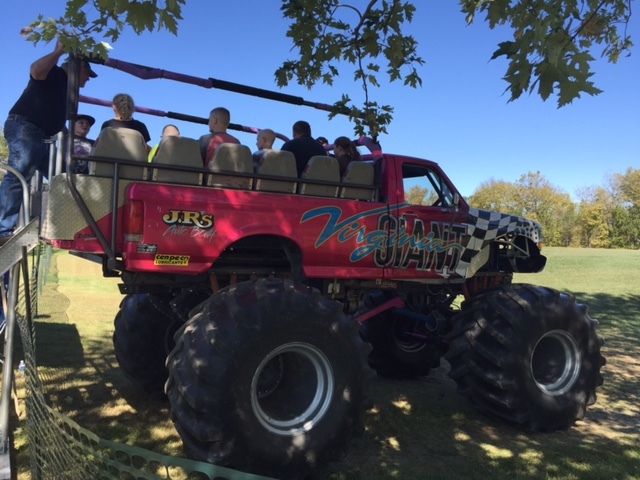 You can meet the Samson Monster Truck team, tour the shop, preview upcoming PEI projects, pick up Samson and PEI merchandise, and get a ride on the Virginia Giant monster ride truck for just $5! We’ll have kids activities, monster truck displays, and refreshments available as well. 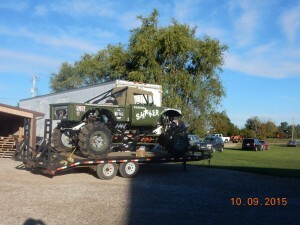 We’ll have more information to come soon so check back here and on our Facebook page for more in the near future. Don’t forget to visit our schedule page to see where we’re performing with Samson this summer. 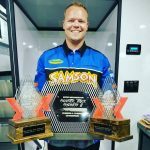 Rick Steffens to Join Father/Daughter Driving Duo | Piloting Samson This Weekend! 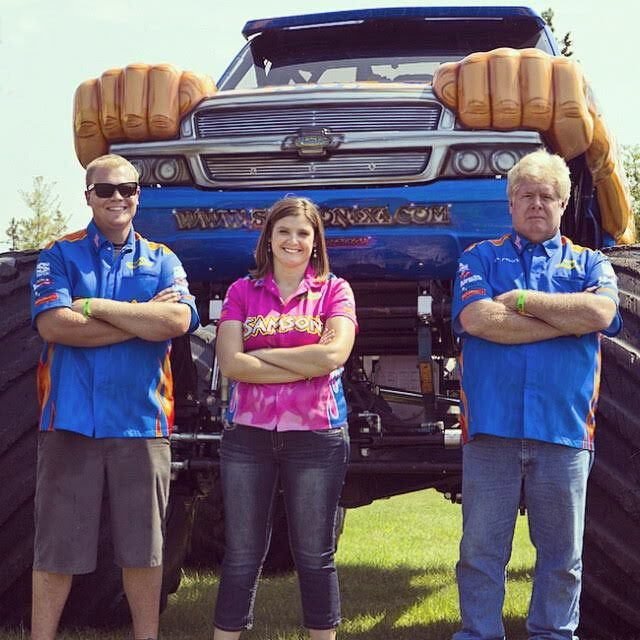 The Samson Monster Truck Racing team is proud to announce that crew chief and PEI team member Rick Steffens will be joining the Father/Daughter driving duo of Allison and Dan Patrick as a driver of Samson. 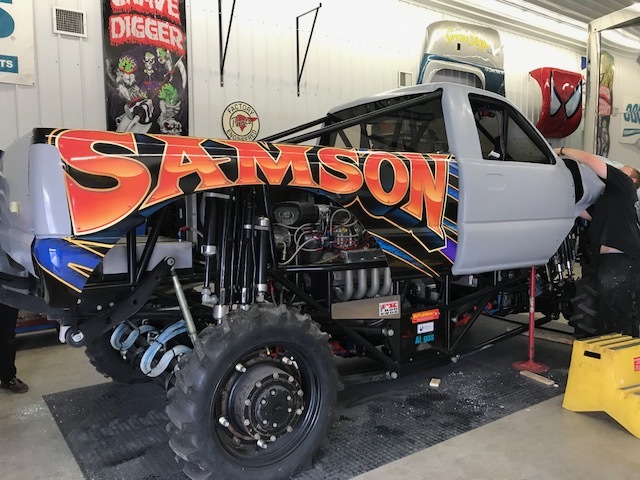 Steffens is set to pilot Samson this coming weekend in our first racing event of 2015 at Kil-Kare Speedway in Xenia, Ohio. We’re excited to have Steffens behind the wheel and see what he brings to the table as a driver. 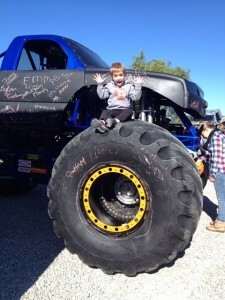 As a lifelong monster truck fan Steffens regularly volunteered at events to help out monster truck teams in his youth, eventually becoming a crew chief for some of the top trucks and drivers in the industry, and then became a member of the Samson/PEI team in 2014.With plenty of hands on experience of his own as well as the wealth of knowledge from Dan and Allison, we’re confident Steffens will do a fine job behind the wheel and do Samson fans proud. 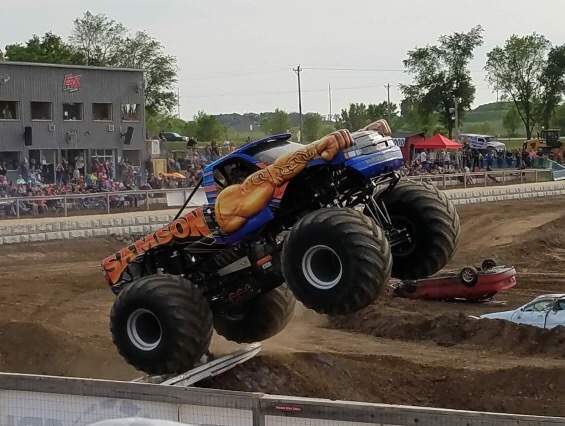 Be sure to check out our schedule page to see where you can find Samson this summer. Also don’t forget to like us on Facebook for more info on all things Samson and PEI. Also check out some photos of Steffens in action during the 2015 season by heading over to our photo gallery here.